WhatsApp has become one of the most used messaging apps, but the expiration or validity is a huge turn-off. While most people get a year free-whatsapp validity, from the day they install the app on their smartphones, others are enjoying "unlimited validity" without paying a dime. To extend whatsapp validity, follow the steps. 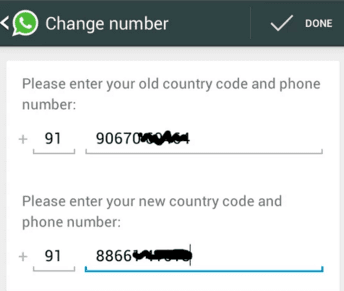 Change your mobile number two times before reverting to the original number and voila you have an extended free WhatsApp validity. For example: if your phone number is 9900****** with service expiration January 1,2019, all you need to do is enter your old number as 9900****** And the new number as your second SIM number 9091******. Repeat the same process again keeping your old number as new and vice versa and bring back your old number which you want to keep. By doing this, you just extended your WhatsApp validity for another year.